Feel like pizza tonight? 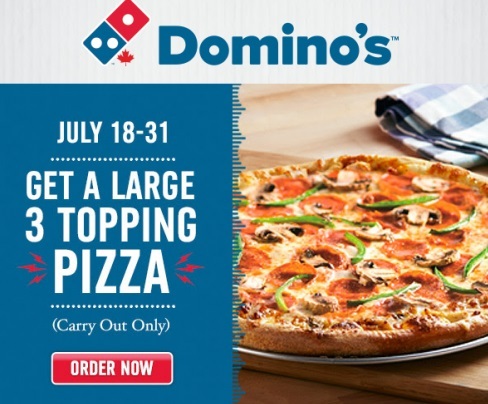 Dominos has a new pizza coupon! Get a large 3 topping pizza for only $9.99. Enter the promo code 4017 at the link below. Offer is valid for carry-out only until Sunday, July 31, 2016.